Just a little later than planned but you expected that didn’t you, come on we all know you did! 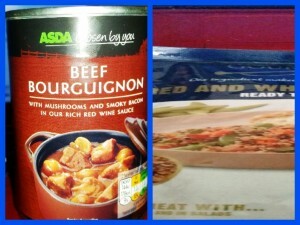 This is a mix and match one for you this week, it’s Asda’s Beef Bourguignon in a tin and Merchant-Gourmet’s Red and White Quinoa, why you ask? The reason is because I wanted to use them up lol. Beef chunks with mushrooms, silverskin onions and smoked streaky bacon in a red wine sauce. The nutritional information can be seen in the picture above, I’m not sure why it states “hob heated”, would that make a difference for the nutritional content? I cooked it in a saucepan and stirred it occasionally on a medium heat, it’s important to ensure that all the ingredients are hot. 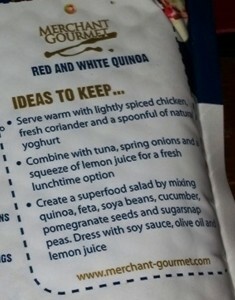 I served this with the Quinoa to use it up, the Quinoa had cooking instructions on the back of the packet. 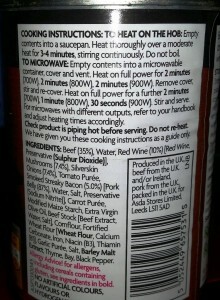 The cooking instructions are clear and concise, and include cooking instructions for three types of microwaves. 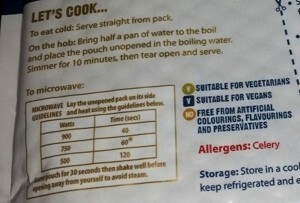 There was also cooking instructions for cooking on the hob…. but I didn’t see them when I was preparing things lol. 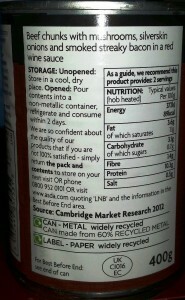 I also didn’t realise you could eat it cold straight from the package…. win win! The calories were quite high in this pack, I realise that it was a pack for two but if you were someone with a large appetite. 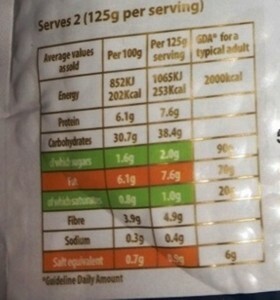 There was also 15.2g of fat in the whole pack which again is quite high. The package cleverly provides you with some handy hints on what to do with the contents of the package, it also gives you the link to the website for more information. Serve warm with lightly spiced chicken, fresh coriander and a spoonful of natural yoghurt. Combine with tuna, spring onions and a squeeze of lemon juice for a fresh lunchtime option. Create a superfood salad by mixing quinoa, feta, soya beans, cucumber, pomegranate seeds and sugarsnap peas. Dress with soy sauce, olive oil and lemon juice. 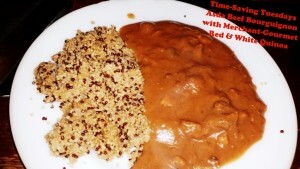 The package states that Red and white Quinoa has a nutty flavouring and is firm in texture. As I said earlier it can be used straight from the pouch in a cold salad or heat in the microwave and mix with roasted vegetables and cheddar cheese. The Quinoa was slightly better although I don’t think it went with the dish I was serving it with, the accompaniment should have been mashed potatoes. I wouldn’t like to eat it cold from the pouch and I wasn’t’ overly enamored with the texture of it, but with some fish or chicken I suppose it would be a healthier option to rice. I’m awarding this four stars, I’ve tried lots of Merchant-Gourmet products over the years and this wasn’t one of my favourites. In their favour though both products were quick and easy to prepare and not particularly expensive. 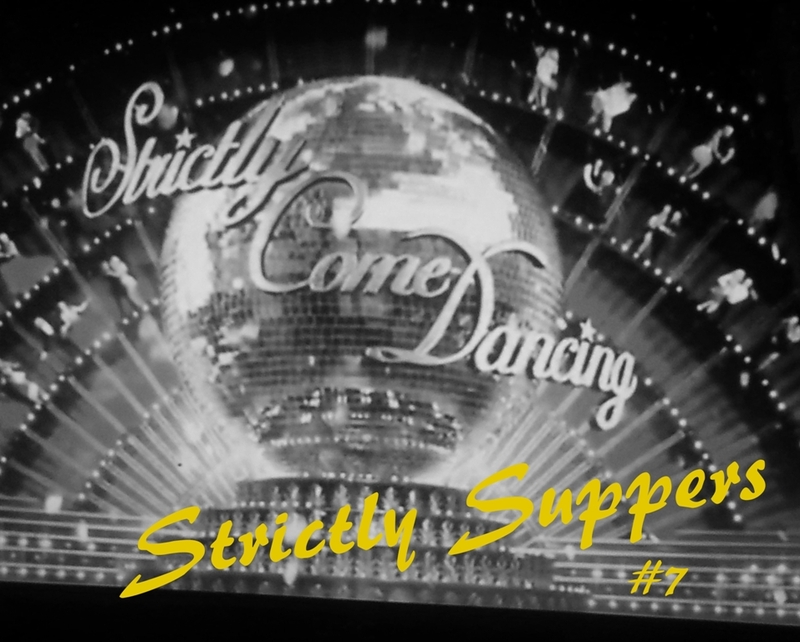 Coming up next week for Time-Saving Tuesday we have my review of Tesco’s Italian Spaghetti Carbonara We’ll have the last installment in my Strictly Suppers range on the weekend, it’ll be my take on a Slimming World/Weight Watchers dish Fanta Chicken…. only I’m doing Tango chicken. 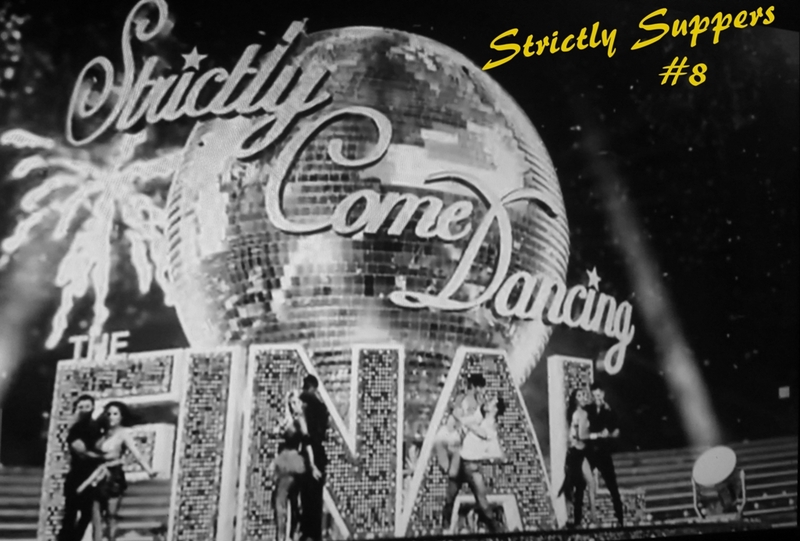 Who do you want to win, personally I quite like Jay or Katie. 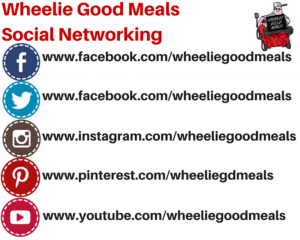 Remember too, if you’ve got a product you’d like me to review get in touch on the methods above.